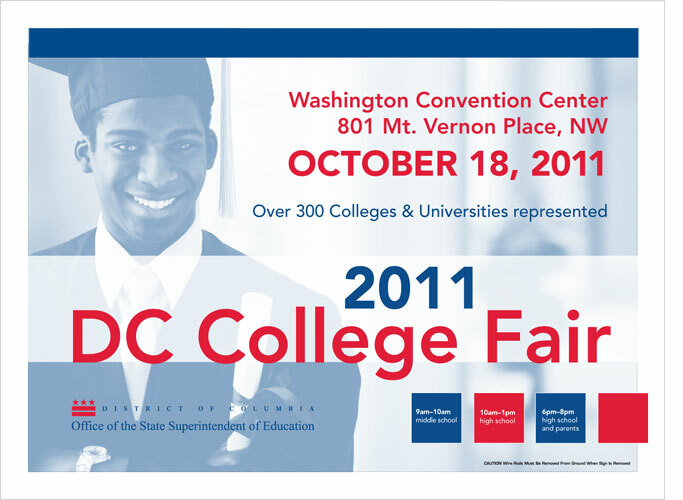 All middle and high school students in DC are invited to attend the 2011 DC College Fair on Tuesday, October 18, 2011 at the Washington Convention Center. Over 300 colleges and universities will be represented. Parents and families are also encouraged to attend.